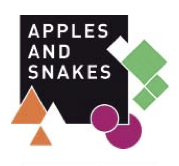 Word2013 presents a series of walks and events with Apples & Snakes writer Helen East. – Listen to her tales about various locations en route, and discover the secrets behind some of the buildings or places that are part of your day-to-day life. This is a walk through land that was once the Bishop of London’s “healthful” hunting park, beginning on a road built by a solitary hermit, now one of the busiest in the UK. After a steep start up steps* we will be hopping from park to park, following the footprints and stories of people that rang the changes – charlatans and visionaries – legends even in their own lifetimes. And hooves in shoes, horns, claws and paws that made their mark as well! (*to avoid the steps, wheelchair users might like to join us at 11.50 on Hornsey Lane, above the Archway Bridge). All walks take approximately an hour and are just under 2 miles. Not suitable for under 5. Booking: no booking required, limited to the first 20 people arriving at the meeting point. A north westerly wander through streets, squares and green spaces zig-zagging from the Angel to Barnsbury Square and on to Caledonian Road. We’ll follow forgotten packhorse routes and lanes where only the names remain… and the whispers of lives and unlikely passers by, from Roman (perhaps) to present day.All walks take approximately an hour and are just under 2 miles. Not suitable for under 5. Such watery variety gave rise to a wide diversity of lifestyles, which gives us tales of every kind.All walks take approximately an hour and are just under 2 miles. Not suitable for under 5. 1.Strange stories of a place you thought you knew… with musical storyteller Helen East. 2. Tales and songs of high life and of low life from Helen East “a mistress of storytelling” as spendthrift kings meet honest publicans and songs of the “long way to the pawnshop” are proved untrue by royal short cuts. 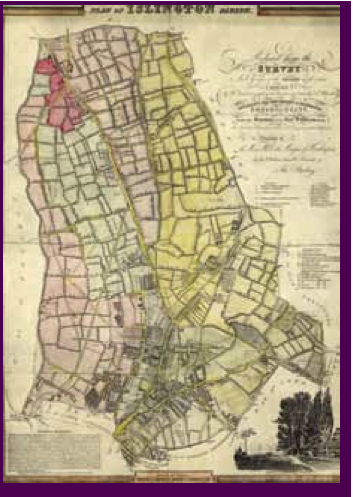 But what else can you expect from an area as doubtful as this -where a street of baths was no match for pests, sicknesses may be preferred to cures, and even the dangers of Hookey in the Hole are nowhere near as dreadful as the lucky chances offered down below. Never mind, love is blind and even the nastiest twist might lead to a happy ending.